18 April 2019 – 2 places left! This 1 day Emergency First Aid at Work +F (Lantra Awards ITA) course teaches the First Aider how to act safely and effectively in a range of emergencies, specifically with the Forestry industry in mind. This course complies with Forestry Commission +F and is approved by the Forestry Industry Safety Accord (FISA). Trainees will learn the key techniques in order to administer simple but sometimes life-saving techniques. Training includes how to use a tourniquet and a haemostatic dressing. This course has continuous assessment by the trainer to evaluate delegates and there is an opportunity for Questions & Answers at the end of the course. This course is suitable for those who have never previously undertaken First Aid training, or those whose First Aid training has expired. These are the requirements of the Health and Safety Executive and the syllabus has been approved. 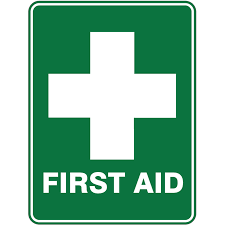 On successful completion of this course, learners will receive a Lantra Awards Certificate of Training & Assessment for Emergency First Aid at Work.